Whites Ember Mesh Ultra covers openings and gutters to prevent the entry of burning embers. Ember Mesh Ultra is corrosion resistant 316 Grade Stainless Steel wire with a powder coated finish. 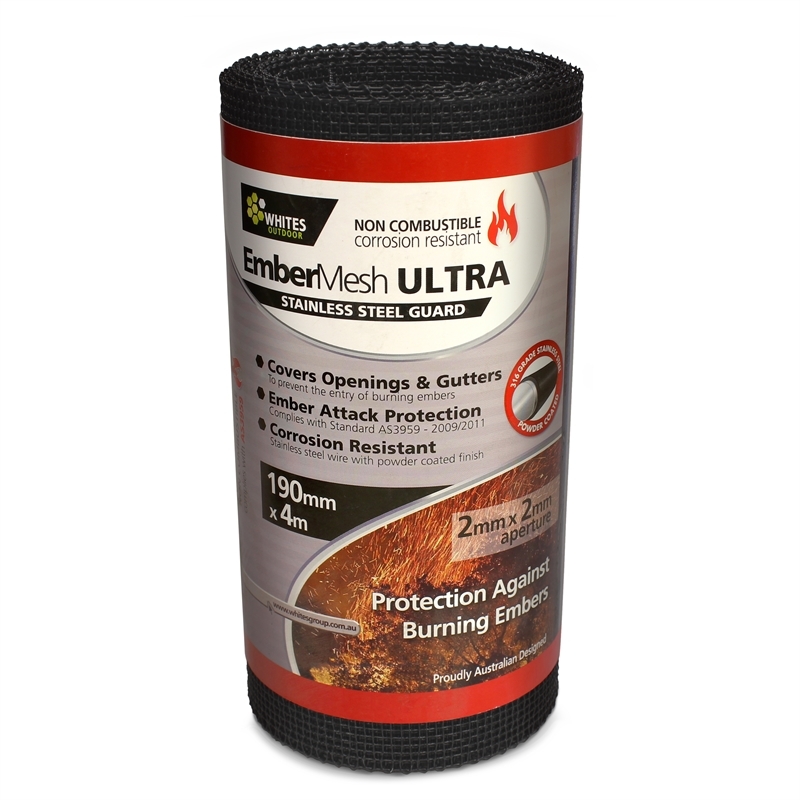 Ember Mesh Ultra complies with Standard AS3959 - 2009/2011.